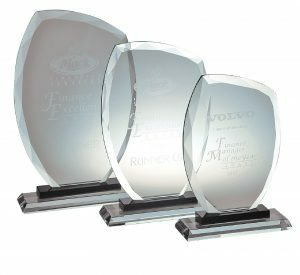 Each award is packed in a satin lined presentation box. 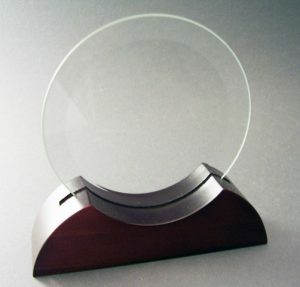 Our Glass Red Tower Award are available in 2 sizes. Large is 245mm and Medium is 200mm height. Please select your preferred size in the drop down box above. 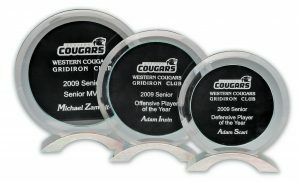 Pricing includes etching including your logo and details on the award. 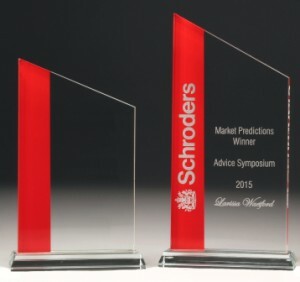 If you would like to have the winners names etched after the presentation we can do this order in two parts. Please select from the drop down menu. Once the order is received an art proof will be emailed through prior to the commencement of production of your order. Please allow 2 weeks, if you have an urgent requirement please email us at sales@groovyglass.com.au or call us on 03 87957591 to check our production schedule. For urgent orders express post charges may apply. 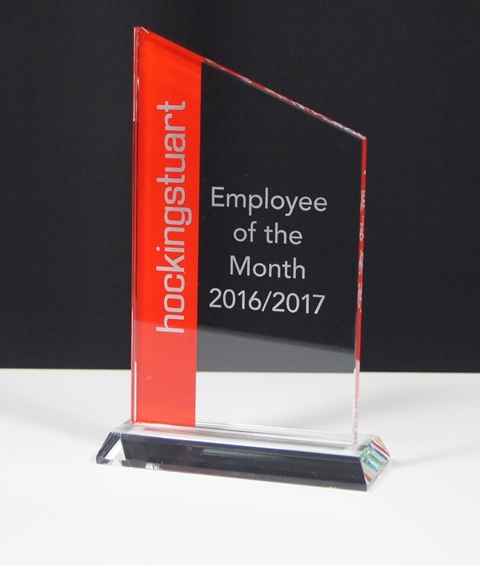 Great way to tie in your corporate branding by etching your company name in the red panel as well as recipient details on the main part of the award. These come in a satin lined gift box.